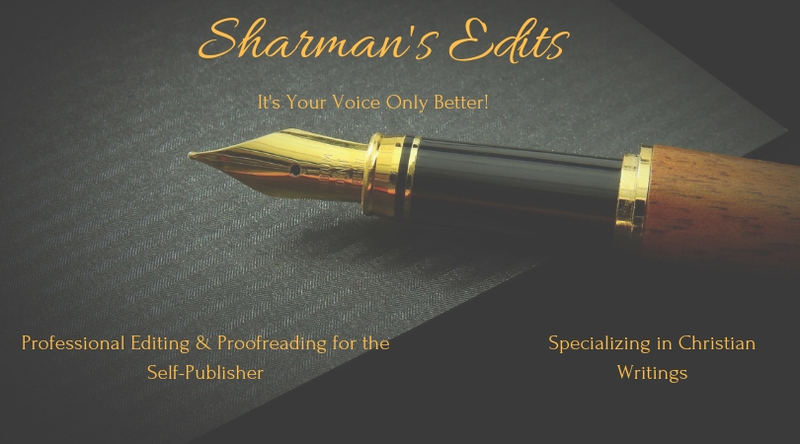 About – Sharman's Edits: It's Your Voice Only Better! Hi! 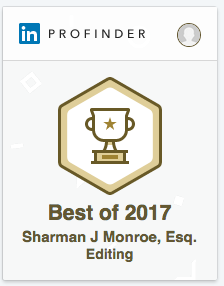 My name is Sharman J. Monroe. I finished my formal education with a law degree and practiced law for over 25 years. However, several years ago, I decided to retire from law (I was a judge at the time) and began a new journey in life. My journey led me to learning who I was since I no longer wore the label “judge” and writing my thoughts and experiences in my blog, My Journey to Me-The Discovery. Surprisingly, the blog focused on individual personal development. Although this blog has been around for only a short time, it is now read by people in different countries all over the world. In my spare time (LOL), I also began to manage and contribute to the blog, Anointed Women in Christ Blog, writing inspirational Christian articles to uplift and encourage people. As a result of all this blogging, I published a book entitled, The PLAN A Way to Success. And another result of all this writing, I discovered my passion is to lead and guide people to their highest potential in life. A while back, I was reading a book written by a friend who self-published. I couldn’t enjoy the book because I was mentally correcting the errors in spelling, grammar, etc. as I read. I later discovered that many people who self-publish forego editing and proofreading because of the cost. I knew I could help them and It’s Your Voice Only Better was born! So far, I have edited and proofread numerous magazine and academic papers, as well as non-fiction and fiction books of different genres from Christian faith-based to mystery to urban to young adult. I get to know you as a person and writer so that you can trust me to edit your masterpiece without loosing you in the process.